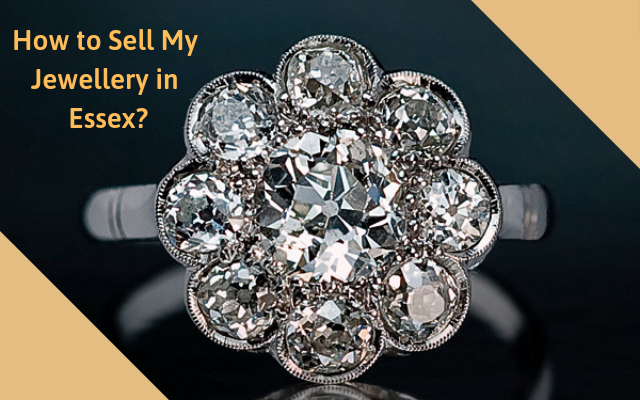 Whether you are wondering, ‘where can I sell my jewellery in Essex?’ or ‘How much is used jewellery worth?’ here are the steps to follow when you decide to sell jewellery for cash. Have a look! For those who are looking to ‘sell jewellery’ or ‘sell my jewellery’, it is foremost essential that you understand what exactly you have. A diamond ring of a designer brand like Tiffany, Cartier or Chopard may worth more than the one of a non-designer brand. And, when it comes to the components of your jewellery item, many things are taken into consideration to determine its overall value. Are there diamonds or gemstones in it? What is their carat weight? What type of metal your jewellery item is made of? However, the rule of thumb is that higher the gemstone and metal carat weight, more valuable an asset will be. While an antique or vintage jewellery item may fetch you a higher price, any sign of wear and tear like scratches or blemishes in the jewellery can cause a significant cutback in its overall resale value. Moreover, the documents like the original box, papers, authenticity cards or gemological lab certificate help a potential buyer to assess the characteristics of a jewellery item and ensure its authenticity. Thus, professional jewellery buyers like at Golden Cash in Essex may prefer to buy jewellery with original documents and box in good condition. However, it does not mean that you cannot sell your jewellery without them. You can ‘sell engagement ring’, sell a diamond ring or ‘sell jewellery’ of any type, to Golden Cash pawnbrokers in Essex and also, expect to obtain the best possible value if your asset is in good condition. Whether you are looking to sell a vintage diamond ring or ‘sell engagement ring’ of a designer collection, choose a professional dealer who is honest, convenient and comfortable to work with. And, when it comes to obtaining cash for gold or selling second hand diamond jewellery, a high street pawnbroker often serves as a more flexible option. Trustworthy pawnbrokers Essex, like Golden Cash, work with jewellery experts who have requisite knowledge and experience to accurately appraise and assess the value of any used jewellery item sold for cash. Although many significant factors are taken into consideration like condition, metal and age to determine the actual value, the final price that the leading Essex pawnbrokers are willing to offer is also based on the inherent value of your jewellery item. Jewellery experts at Golden Cash are always accessible to carry out a professional valuation. Thus, you can sell your jewellery to us with full confidence. Sell your jewellery to the most trustworthy jewellery buyers in Essex and get paid right away without any obligation. Here at Golden Cash, we always work to make the process of selling pre-owned jewellery items straightforward and convenient. Walk into our shop at The Liberty Shopping Centre in Romford, Essex any time during opening hours with the jewellery item you are interested in selling to us. Our experts will analyse every aspect of your asset including its gemstone(s) and metal and then, come up with an accurate valuation. We will make an offer on the spot. Accept it and get paid in cash right away. Previous PostPrevious How To Sell My Rolex Watch in Romford? Next PostNext What is The Most Expensive Rolex Watch Ever Sold?